Come celebrate with us at the Grand Opening of Miami-based artist Andres Conde's Art Gallery & Studio in Little Havana on Friday, April 11th at 7pm. A spectacular exhibition of Conde's new Cuban inspired series 'Social' and a special themed performance piece by contemporary dancer Marissa Alma Nick. 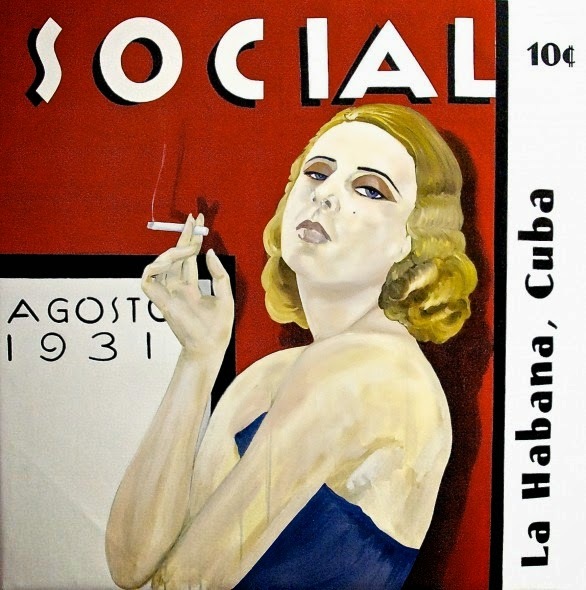 Conde's newest series of artwork is an ode to Cuba, where the artist recreates the famous covers of the vintage Cuban magazine 'Social'. Conde's new gallery and studio space is located at 1oo7 SW 8th Street in Miami, FL 3313o within the Little Havana Arts District known as Calle Ocho. Enjoy the Grand Opening on April 11th at 7pm with art, cigars, cocktails and live music, plus a few extra surprises. 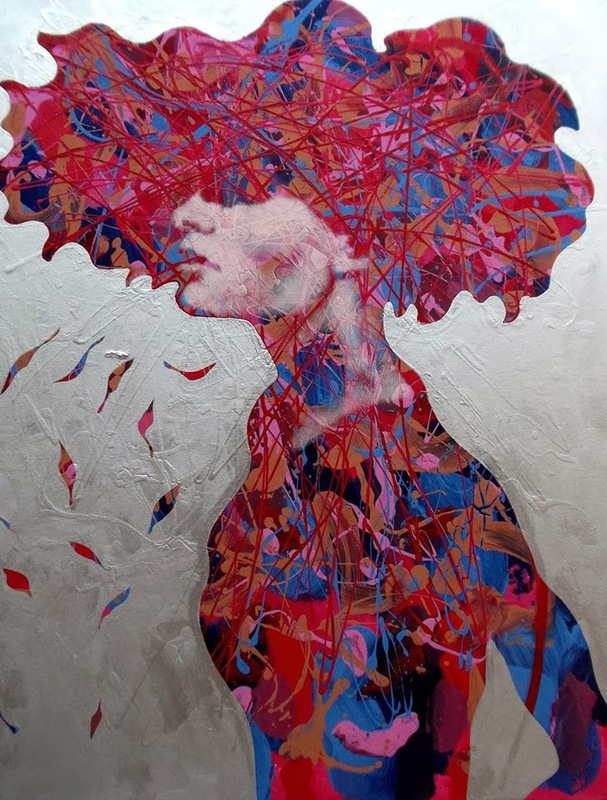 Conde is a wonderfully talented pop expressionist artist whose work embodies his own unique style and edge. He has become one of the most beloved and sought after artists in Miami, please join us in celebrating his new art space. 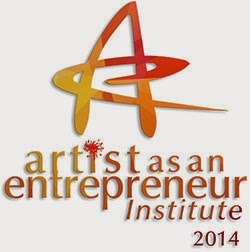 Artist as an Entrepreneur Institute Returns to South Florida June 2o14 - Miami Art Scene™ is proud to be instructing the Branding Course again this year. Miami Art Scene™ is proud to be instructing the Branding & Marketing Module at the Artist as an Entrepreneur Institute (AEI) 2o14 for another year in a row. This is a highly acclaimed program that is changing the way that artists do business - presented by the Broward Cultural Division in alliance with The Community Partnership for Arts and Culture (CPAC), and ArtServe. The Artist as an Entrepreneur is an artist-focused course of study designed to assist artists (visual, musicians, writers, media, theater, performing arts) by cultivating and advancing their business skills. The program is presented on four (4) Saturdays in 2o14 during the month of June. AEI will be offered as 2o classes convening for full-day sessions, 9am-6pm on June 7, 14, 21 and a Business Clinic & Workshop on June 28 from 9am-2pm. The program is led by a premier faculty composed of leading business practitioners and artists familiar with arts and culture from the South Florida region. Faculty members instruct artists through a series of lectures, panels and discussions. 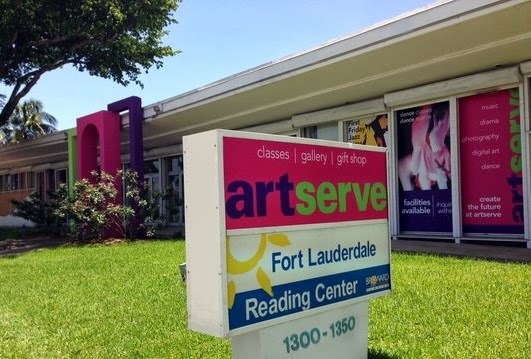 AEI will be held at the renowned arts incubator ArtServe, located at 135o East Sunrise Boulevard in Fort Lauderdale, Florida 333o4. ArtServe is a long-standing nonprofit arts and cultural organization, a magnificent venue space comprised of 25,ooo square feet. The facilities are provided at low rates to artists and nonprofit organizations. ArtServe's scope of services has expanded and numerous programs have been added to meet the demands of the South Florida arts community. Through private and public funding, ArtServe has developed a series of programs aimed at strengthening and assisting local artists and nonprofit cultural groups in their business-related and marketing efforts, it has become a national model and icon for other arts incubators and artist-support groups. Artists of all disciplines are encouraged to attend including but not limited to: visual artists, sculptors, illustrators, metalworkers, writers, dancers, jewelers, musicians, performers, media/filmmakers, photographers, crafts, designers and all interdisciplinary artists. More than 4oo artists have graduated from this groundbreaking Institute and many with exceptional success stories. 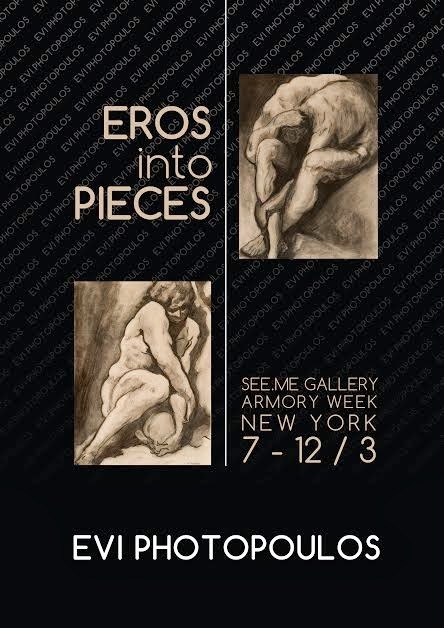 Registrants will recieve an AEI course book, an indispensible resource for artists. Developed by CPAC, the course book features exercises and readings to prepare for each session, and is tailored to the specific needs of artist entrepreneurs. The Business Plan Clinic's topics, 'Working Effectively with Lenders' and 'Developing a Brand', will guide participants through preparation of a simple business plan, an essential tool for any artist. Miami Art Scene's Founder & Principal Katerina Wagner has been invited once again to instruct the Business Plan Clinic's, 'Developing a Brand' module. She will be discussing what a brand is and how to build one, as well as examining how to harness the power of branding and how artist's can leverage their brand to maximize their business's success. Designed to help artists operate in the marketplace more successfully, the AEI course curriculum covers all aspects of developing an artistic business. It helps identify and develop a personal brand, develop strategies for communicating with target markets, raise capital and identify a variety of tools for protecting one's work legally. The cirriculum offers critical support, enabling artists to contribute to strengthening the vitality of the larger urban arts and culture sector. Participation costs $100 and includes light refreshments and free parking. For members of ArtServe, registration is $75. Miami Art Scene™ has partnered with the Broward Cultural Division to offer our audience the discounted rate of $75, please RSVP Online; and indicate in the field provided that you are registering via Miami Art Scene™ to receive the discounted fee. For more information contact Adriane Clarke at (954)357-7530. View the Artist as an Entrepreneur webpage for more information about the course and its history, and read news coverage from past years. CPAC, program founder of the AEI, has provided comprehensive business training to more than 800 artists nationwide; this service is made possible by the generous financial support of the Cleveland Foundation, the George Gund Foundation, the Kulas Foundation, and the John P. Murphy Foundation. Join us in New York City this April for a very special exhibition 'Miami' - featuring three artists from our magical city bringing their talent and energy to Manhattan's lower east side. 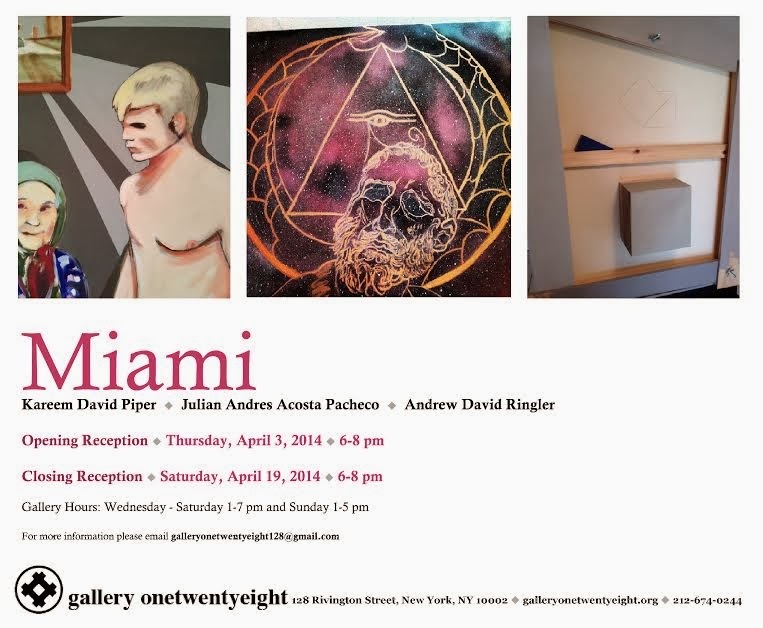 Miami-based artist Kareem Piper, represented by Miami Art Scene™ is exhibiting at Gallery OneTwentyEight for a spectacular group show with fellow Miami-based artists Andrew Ringler & Julian Pacheco. The exhibit opens on April 3, 2o14 with a reception from 6-8pm, the gallery is located at 128 Rivington Street in New York, New York 1ooo2. The 'Miami' exhibit runs through April 19th, if you're in NYC please stop by and support Miami's artistic crew doing it big in New York. 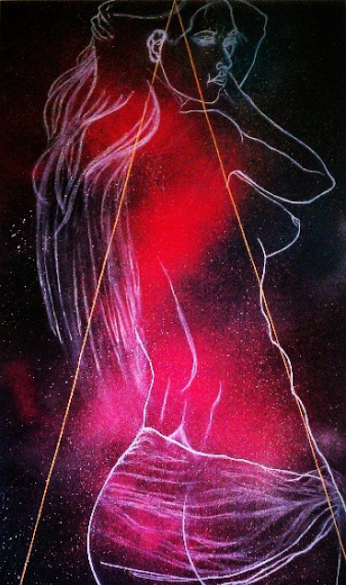 Miami-based artist Kareem Piper is known for his cosmic masterpieces. 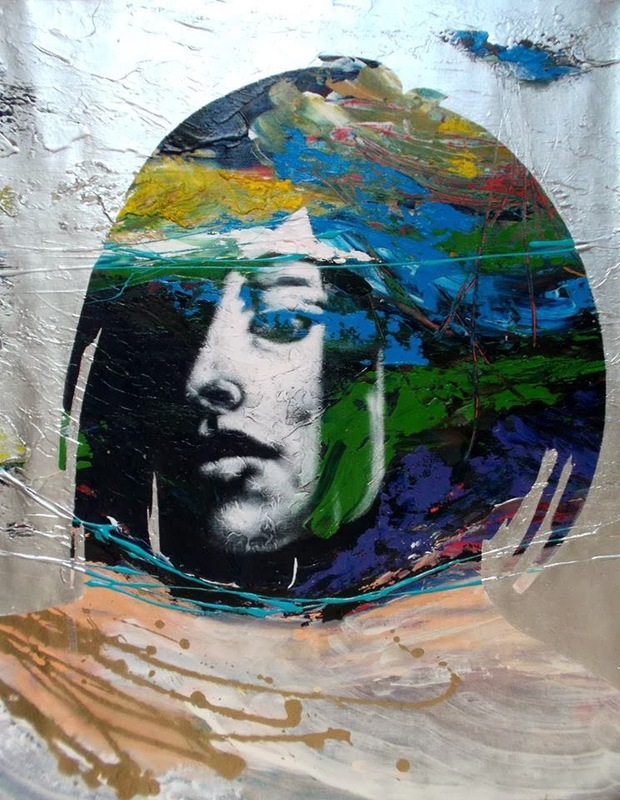 His work is radiant, compelling and bursting with introspection and spirituality. Piper's art questions everything, exploring universal truths and wisdom with reflections of humanity, culture and a strong desire towards understanding our purpose. 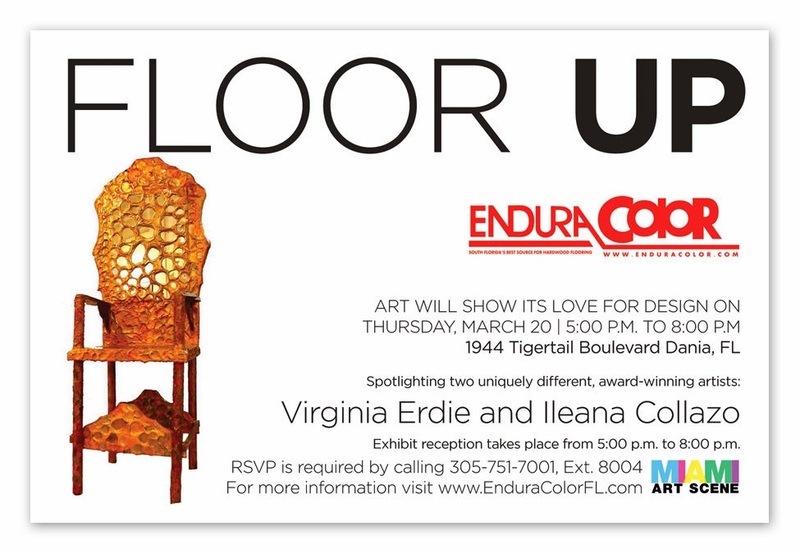 Join us in the Dania Beach Design District for our monthly 'Floor Up' art exhibit on March 2o, 2o14 at our exclusive EnduraColor Showroom from 5-8pm. EnduraColor is known as one of the top design destinations for rare and exotic hardwood flooring. Every month Miami Art Scene™ is transforming the venue to spotlight emerging and renowned artists for monthly art exhibits. The exhibits are open to the public and free to attend, the showroom is located at 1944 Tigertail Boulevard in Dania Beach, Florida 33oo4. This month features two uniquely different, award-winning artists: Miami-based artists Virginia Erdie & Ileana Collazo. 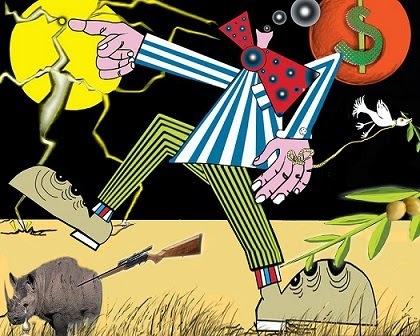 Miami-based artist Virginia Erdie has been creating art for over 3o years - her paintings are known for creating a tension between the bright, cheery colors she uses and the dark or satirical meaning of the symbols and imagery. For the 'Floor Up' exhibit on March 2o, Erdie will showcase several paintings as well as her amazing 'Magic Chair' sculptures. 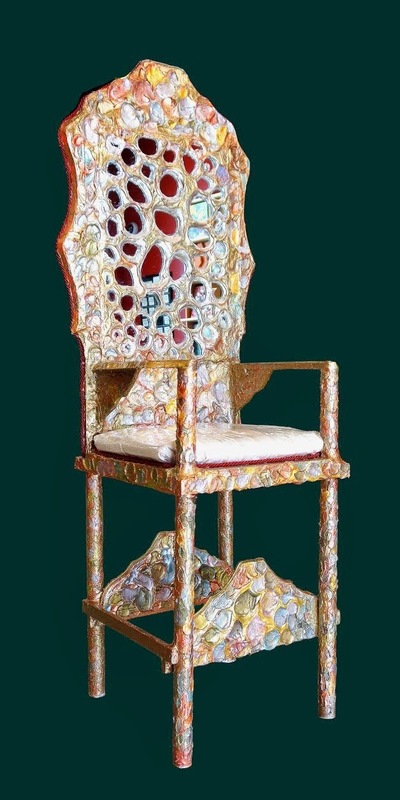 Her oversized chairs are original creations, which the artist fabricates with wood, colorized resins, metallic paints, design elements and materials. Known in the trade as Functional Art, her sculptural chairs are real show stoppers, the ultimate conversation pieces. 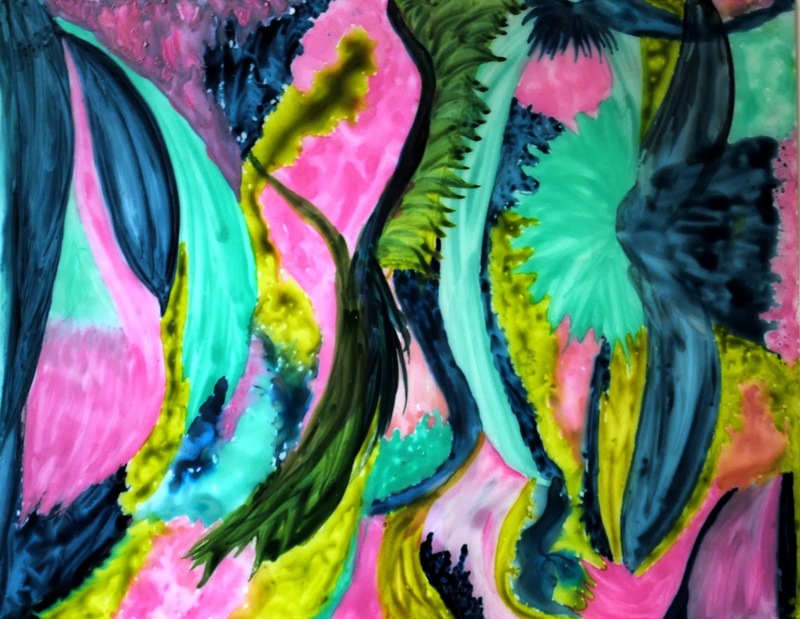 Miami-based artist Ileana Collazo's work focuses on vibrant, floral compositions. 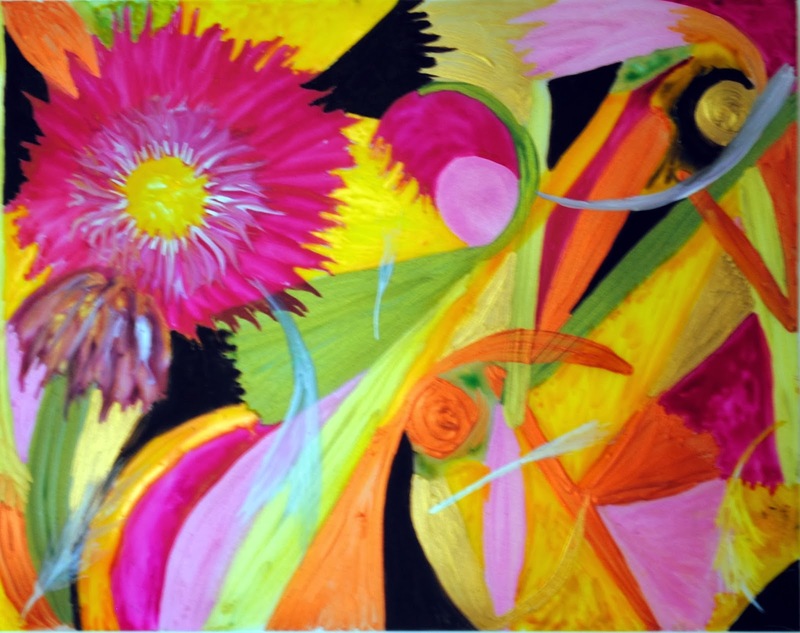 Collazo is known for her Night Gardens collection - a series of seductive, abstract floral paintings. Her work was digitally exhibited throughout Manhattan in October 2o13 during Creatives Rising, Art Takes New York. She is also the winner of the prestigious 7th & 8th ArtSlant Showdown Competitions. She is displaying her newest series with us at EnduraColor called Water Gardens, made with acrylics on mylar. The translucency of the mylar paintings gives the viewer the impression of the colors melting into one another, creating an aqueous landscape of lines and shapes. Art and design will intersect during the second edition of our 'Floor Up' showcase at EnduraColor. RSVP is required, please call (305)751-7004, Ext.8oo4 - please indicate that you were invited via Miami Art Scene™. EnduraColor is one of the most noted authorities in the design community. The company's products and floor designs are one-of-a-kind installations that are celebrated and enjoyed internationally - serving designers worldwide for over 2o years. 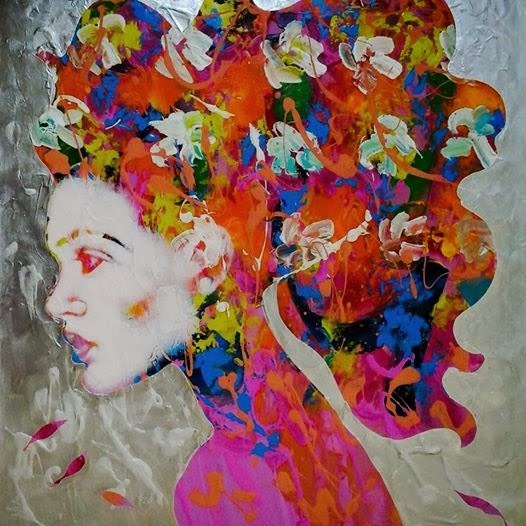 Miami Art Scene™ is proud to present our renowned artists Virginia Erdie and Ileana Collazo, for sales or inquiries contact Katerina Wagner at (786)571-6112 or visit us online, http://www.themiamiartscene.com/. If you are a local artist who is interested to participate in our monthly art exhibits, please submit 3-5 images of your recent work with your bio, artist statement and a link to your professional website for consideration via miamiartscene@gmail.com. Join us for a spectacular solo art exhibition showcasing the work of Venezuelan artist Victor Asuaje at Arte Venezolano En Miami. 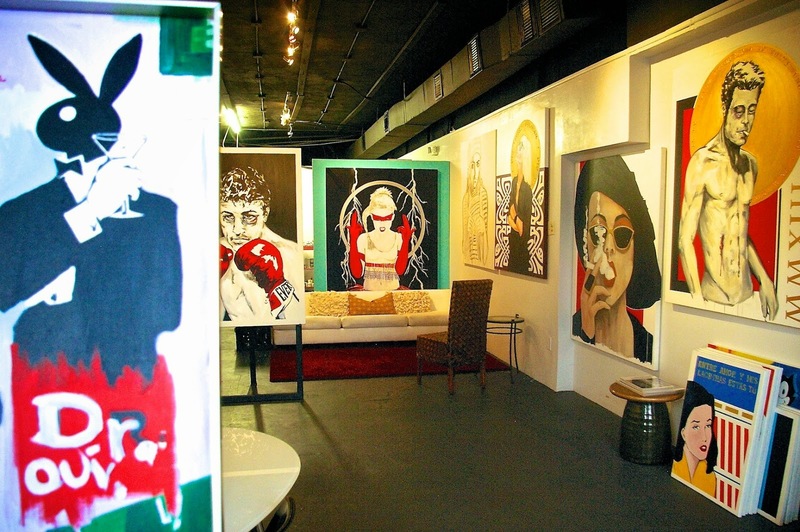 The gallery is located in the Bird Road Art District at 7432 SW 42nd Street in Miami, Florida 33155. Asuaje's exhibit 'Metallica' opens on Saturday, March 15, 2o14 with a reception from 7-10pm. 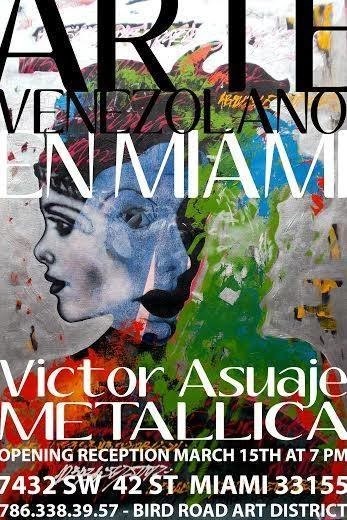 Victor Asuaje is a self-taught artist who has been creating artwork since the 198o's, his work is recognized worldwide and shown in The Museum of Contemporary Art of Caracas (MACC). 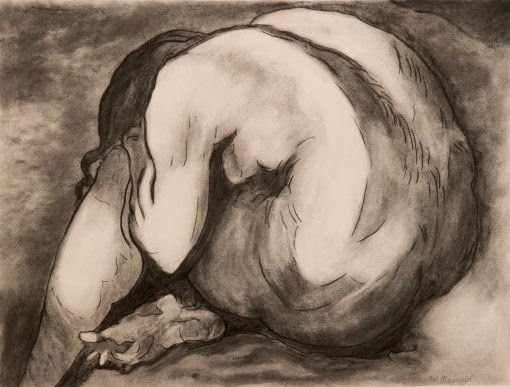 Asuaje is an active member of the international art community and participates with a variety of international art associations and organizations. He has been showing his work in galleries for more than 30-years, join us to view his newest collection 'Metallica' this month in Miami.